York University has received a major award that will be used to establish an initiative to develop the study of Korea in Eastern Canada as well as globally. The Academy of Korean Studies will fund the $1.1-million project over five years. The innovative and groundbreaking project, which encompasses education, research and institutional building activities, includes scholars at York University as well as at six other Canadian universities and two American institutions. 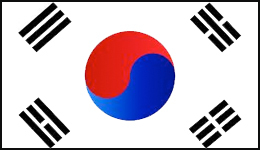 Partners in the Korean-Canadian community in Toronto will also participate in the project. The project will develop educational and research opportunities for York undergraduate and graduate students, offer scholarships, create new degrees, introduce innovative curricula and initiate experiential learning programs and awards. Many of these activities and initiatives will be coordinated by a new Korean Office for Research and Education (KORE) at York, which will open during the Winter 2019 term of 2019. A full-time project coordinator, who will support KORE, will be located at the York Centre for Asian Research. The project funds will enable York to bolster its teaching infrastructure and enhance its course offerings in Korean studies. With a greater diversity of programs, the University will become the prime destination for students, both undergraduate and graduate, who wish to study Korea and Korean diaspora. These students will have range of research opportunities in specific initiatives associated with KORE, as well as financial support. Professor Hyun Ok Park of the Department of Sociology, Faculty of Liberal Arts and Professional Studies (LA&PS), is the project’s director, with Professor Mihyon Jeon (Department of Languages, Literatures and Linguistics, LA&PS) as deputy director. “In Canada, York University has the second-highest concentration of Korean faculty and research activities after the University of Toronto,” said Park. “Ten faculty members with Korea-related research at York, including seven tenured faculty members, are appointed in diverse disciplines of humanities and social sciences. Building on this asset, we will embark on developing an innovative global approach to Korean studies and interrogating key debates across disciplinary and area studies boundaries. Other York faculty members involved in the project are Laam Hae (Department of Politics, LA&PS), Theresa Hyun (Department of Humanities, LA&PS), Hong Kal (Visual Art and Art History, School of the Arts, Media, Performance and Design), Ann H. Kim (Department of Sociology, LA&PS), Thomas R. Klassen (School of Public Policy and Administration, LA&PS) and Ahrong Lee (Department of Languages, Literatures and Linguistics, LA&PS). The application for the funding was supported by Abidin Kusno (Faculty of Environmental Studies), director of YCAR. More information on the project is available by emailing kore@yorku.ca.